You thought Dogs Wearing Pantyhose was the last stop at the end of the Internet Universe, but you were wrong. 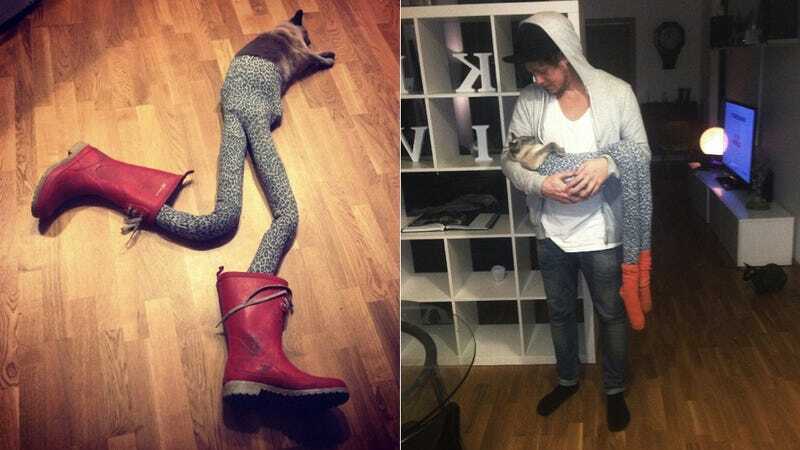 About ten lightyears beyond the sexxxy puppy planet, you'll find its sister planet: Cats Wearing Tights. Terrifying! And exciting!